The MSP surge protector from ABB serves to protect insulation stress laid at every turn in heavy load industrial applications such as large motors and generators, dry-type transformers and medium-voltage switchgear. 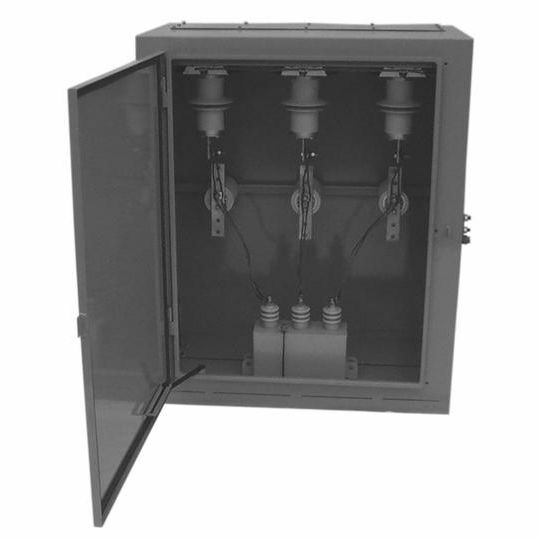 The surge protector has a compact welded 11-gauge metal enclosure housing within which a surge arrester and a heavy-duty surge capacitor are assembled, and can be further customized by incorporating fuses and other protection parts. The MSP surge protector is suitable for voltages between 2.4kV and 24kV and provides provide high transient overvoltage withstanding and a long life. It is also equipped with a hinged and padlockable front door, removable cable entry plates and outdoor NEMA 3R enclosure.